Hey everybody. I’m gettin started back on my ‘73 Mach One after years of it just sitting. I had to many projects going on. I’m at the point where I’ll be installing a HEI distributor and a fender apron mounted starter solenoid. The new HEI has a yellow, red and black wiring coming from the bottom. The starter solenoid has two larger nuts for the battery and starter wire and two other smaller nuts. One has an “I”and the other has an “s”. 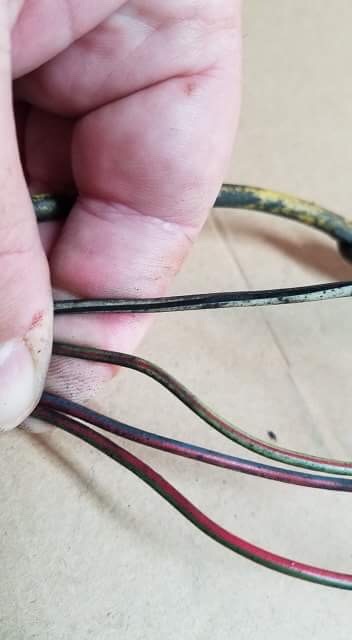 There is a original wiring harness goes along the front crossmember over towards the battery and has the following color coded wires. I just needed some input on where these wires would go. I’m pretty sure I have a one wire alternator with a built-in voltage regulator. After looking over the wiring diagram and a picture of the distributor I’m still lost. Is there anybody that could look on their wiring harness and see where the wires go? 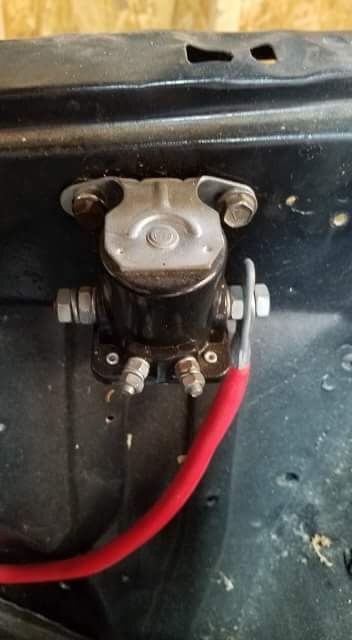 I know some goes to the solenoid some goes to the distributor and some goes to the alternator but I’m just not sure and I don’t want to fry my system. Link to the wiring diagrams on this site. 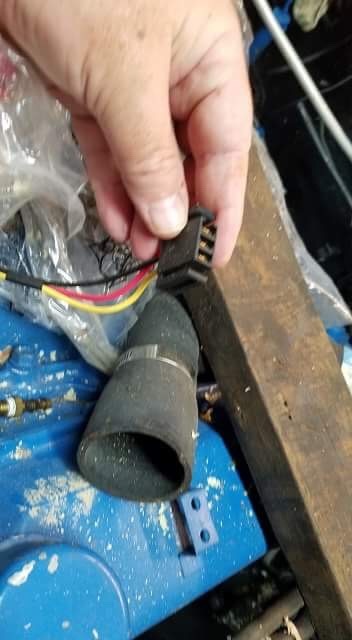 The connector you're showing from the HEI plugs into the distributor cap. There are two other connections with blade terminals. One for switched power, the other is the tach feed. Thanks guys. This should get me pointed in the right direction. I’m horrible with wiring diagrams. The HEI is self explanatory. The clip only goes in one way. The cap should even have markings molded into it. Negative on battery needs to go to the engine block AND to the chassis ground. The factory cable had a ground strap mid way that attached under the voltage regulator, but anywhere on the apron is fine as long as it *clean and secure*. (08-10-2018, 11:28 PM)Hemikiller Wrote: The HEI is self explanatory. The clip only goes in one way. The cap should even have markings molded into it. Thank you HemiKiller....that’s exactly what I needed. The red, yellow and black are actually coming from the HEI distributor so I’m still a little confused on where those go. I’m assuming the yellow with go to the big yellow terminal, the red to the battery and the black to ground. (08-12-2018, 09:13 PM)Robnbama Wrote: Thank you HemiKiller....that’s exactly what I needed. The red, yellow and black are actually coming from the HEI distributor so I’m still a little confused on where those go. I’m assuming the yellow with go to the big yellow terminal, the red to the battery and the black to ground. No. That plugs into the distributor cap of the HEI. The coil is in the cap. See my previous post with a picture of the connector on the cap. The wire colors are different, but it plugs in just the same.